Description: These premium quality flex-vinyl signs are printed using UV (sun) resistant inks on sturdy, rip resistant vinyl that will last for years. Great for use as a backdrop in a fair booth, on the front or side of buildings and clinics, even on an interior wall where you want to make a dramatic statement. The signs can be rolled up into a small package for easy carrying. Each sign is hemmed all the way around for strength and has grommets every two feet for easy mounting. 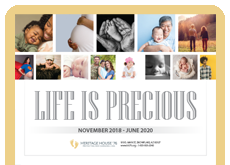 The National Silent No More Awareness Campaign wants to share the truth with the general public about the negative consequences of abortion for women. The campaign is also reaching out to women who have experienced abortion, letting them know that help is available. 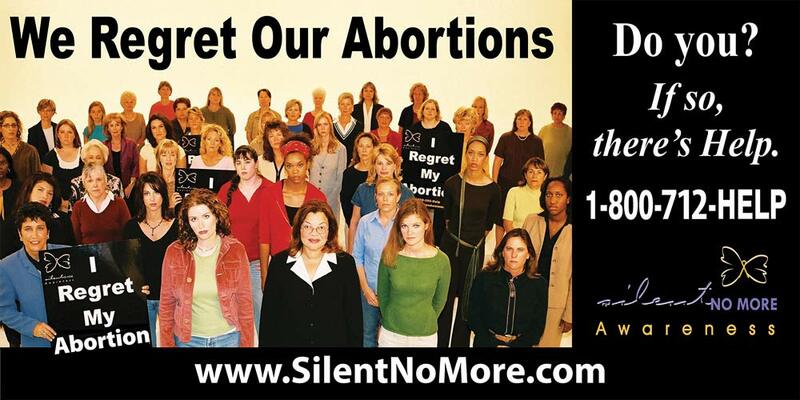 The campaign is making the voices of thousands of women who regret their abortion heard nationwide. 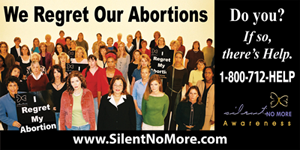 The Silent No More Awareness Campaign invites women who want to help get the truth out to display these products and register at their website to join them in being Silent No More! For more information see the Silent No More website at www.silentnomoreawareness.org.